As we move into the winter months in the northern hemisphere, your members are bundling up inside and taking to the internet to keep them warm. This is the perfect season to ask, “Is our organization effectively reaching our target audience?” This is THE question when discerning where your social media presence can prevail and make the most impact. 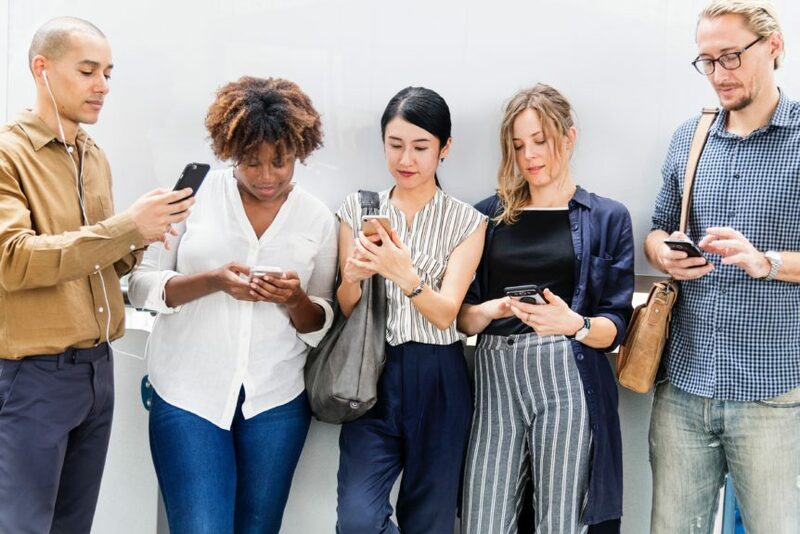 In a recent article, the Journal of Medical Internet Research explains, there are substantial differences in social media use by age. 88% of 18- to 29-year-olds indicate that they use any form of social media. 37% among Americans 65 and older. Take stock in who you are reaching. Are you missing a key demographic that you could enhance? Americans ages 18 to 24 are substantially more likely to use platforms such as Snapchat, Instagram and Twitter, even when compared with those in their mid- to late-20s. How do you make sure you’re in step with your members as technology continues to advance? Van Petten Group is here to assure you that we are here to keep you in pace with where your audience is spending their time. Studies from the Pew Research Center display how Facebook is your tried and true communication platform across the board. The share of Facebook users who visit the site on a daily basis is statistically unchanged compared with 2016, when 76% of Facebook users reported they visited the site daily. While Facebook remains the primary platform for most Americans, findings suggest that newer social media technologies may be changing the communication pattern for younger Americans throughout the United States. What does this mean? Keep Facebook alive AND consider embracing your target audience’s second go-to platform. Strengthen your message with multiple platforms. The typical (median) American uses three social media platforms (FB + X & X). Those ages 18 to 24 stand out for embracing a variety of platforms and using them frequently. Some 78% of 18- to 24-year-olds use Snapchat. Similarly, 71% of Americans in this age group now use Instagram and close to half (45%) are Twitter users. Enough statistics, break down these platforms, please! Facebook: Your #1 presence. Tried and True to a wide variety of generations. Keep up your FB presence, if nothing else. It takes time and talent to develop multiple platforms with seamless authenticity. Build this platform first. Remember that it is a tool designed to support your mission, not to create headaches. It is as user-friendly as the water cooler used to be, where everyone comes to take a drink. The Facebook Groups feature can be a great place for your members to convene and share information, news, and announcements in a confidential space that is theirs’ alone. Once you have developed your Facebook platform you can look into what other platforms will compliment and reach your members to a deeper degree. Each platform has its strengths and specific focus. Twitter: Leans into a political presence. Instagram: Leans into an artistic presence. LinkedIn: Leans into a business presence. Snapchat: Leans into shout-outs and advertising; the one platform that almost exclusively targets younger Americans. Pinterest: Leans into a creative presence. YouTube: Leans into an entertainment presence. WhatsApp: Leans into a global communication presence. Take some time and look into each of these platforms and consider which direction you’d like to move in. Your organization has an important mission that deserves to be shouted from the mountaintops. Here at Van Petten Group, we’ll make sure you don’t lose your voice barking up the wrong tree.